Imagine a huge, virtual pinboard, covered with photos of the hottest fashions, mouth-watering meals, stylish home wares, gotta-read books, and shiny gadgets, all “pinned” on the web by thousands of everyday users. 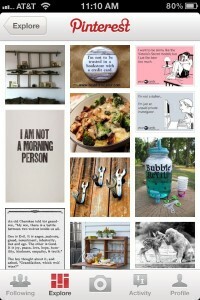 That’s the idea behind Pinterest, a red-hot social-networking craze that’s actually showing some staying power. Once you’ve joined Pinterest, you too can pin your favorite products, curate your own online pinboards, and discover a treasure trove of nifty things pinned by fellow Pinterest members. You still need an invitation before you can sign up for Pinterest, but don’t worry; Pinterest invites are easy to come by. 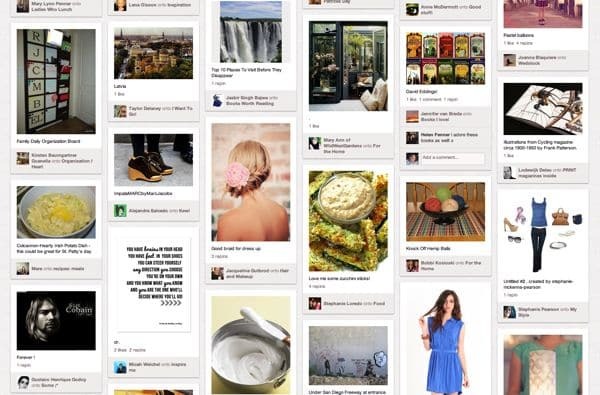 Any current Pinterest user can hand out invites to their friends, so ask around or post a request on Facebook. Still no luck? Drop me a line and I’ll send you one. Related: Listen to our podcast about Pinterest! There’s no better way to get the hang of Pinterest than to jump right in and start pinning—and the easiest way to pin products, pictures, or just about anything else online is to add the official “Pin It” button to your web browser. See something on the web you want to pin? Just click the "Pin It" button on your browser. Just visit this page once you’re logged in, then drag the “Pin It” button into your browser’s “favorites” bar (or, in Internet Explorer, right-click the button and select “Add to Favorites”). Next, try this: visit your favorite blog or online retailer, find something you really, really want to buy, and click your new “Pin It” button. And just like that, you’ve posted your first pin! What good is a pin without a board to pin it on, right? If you’re just getting started with Pinterest, you’ll find that you’ve already got a half-dozen boards ready to go: “Products I Love,” “Neighborhood Finds,” “My Style,” “For the Home,” “Places I’d Like to Go,” and “Favorite Places and Spaces.” That’s a good start, but don’t be afraid to strike out and create some boards of your own. For example, I’m constantly on the lookout for new and classic Blu-ray movies to buy, so I just created a new Pinterest board—”better on blu”—devoted to the Blu-ray discs on my wish list. Are you more interested in fashion, or gardening? How about some goodies for the kitchen—or some recipies you want to try? Board-friendly topics, all. A few other clever examples I found on Pinterest: “Small things that work very well,” “DIY” (“do it yourself”), “Fitness,” “Everything awesome,” “Let’s find the BEST quotes of all time and put them here!”, and “I do” (think wedding ideas). When you pin a snazzy-looking pair of shoes on Pinterest, the whole world (or the whole world on Pinterest, anyway) will see it—and that’s the whole point. Indeed, only about half the fun of Pinterest is pinning your favorite products; the other half is discovering (and “repinning,” if you choose) new products, especially those pinned by complete (but hopefully like-minded) strangers. Don’t be afraid to follow someone on Pinterest who you’ve never met. No, you won’t freak them out; in fact, they might just follow you back if they like your style. To follow someone on Pinterest, click their name on one of their pins; then, on the following page, click the red “Follow All” button. 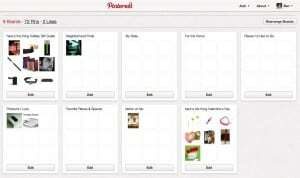 Want to browse Pinterest from your iPhone, or even pin an iPhone photo? No problem. Another option: rather than following all of someone else’s pins, you can follow one or more of their specific Pinterest boards instead. Again, just click a Pinterest user’s name, then click “Follow” on the boards you’d like to keep tabs on. You can also click the name of a board from a single pin and click the red “Follow” button.